Imagine that, no matter how good your coach is, he may have never dragged your attention to explaining some simple cases that could arise in a tournament game. Or worse, say you are a chess professional, but failed to study the latest changes on the laws of chess and namely this brought you to a situation where you simply lost your prize money due to the mentioned fact. So, a natural question would be: Who this book is intended for? 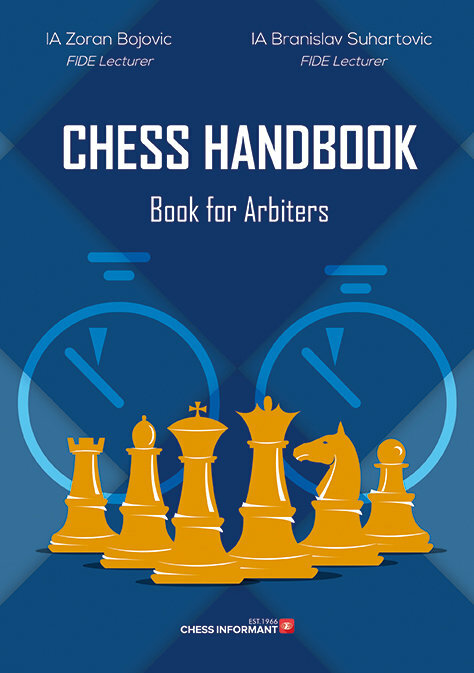 First and foremost - the chess arbiters, as it is stated on the book cover. Bojovic and Suhartovic, experienced International Arbiters and FIDE lecturers, have tried to handle the matter in such a way that even the beginners may master it, and that at the same time it would be useful to any chess arbiter as well. Since the jobs of arbiters and organizers are inextricably linked, it is considered that also the organizers shall find useful information in it. In addition, it will be useful to all chess players, primarily to professionals. In the last several decades, chess has undergone large changes. On the one hand, the number of tournaments has significantly increased, and on the other, the mass usage of computers has opened hitherto unimaginable possibilities for progress and improvement of players, but unfortunately for misuses as well. This has led to the fact that also the Laws of Chess have been changing and adapting to new circumstances. Accordingly, the demands put before the arbiters, organizers and the players themselves are getting increasingly higher. Even though all the regulations may be found in the FIDE Handbook, the authors considered that it is not enough. The objective was to present the most important regulations (for practical application) and to explain them in the textbook form, with as much examples as possible. The matter covered is divided into three units. The first part deals with the Laws of Chess with numerous examples and comments. The chosen examples clearly illustrate the purpose and essence of the Laws of Chess. Of course, at the same time it would be impossible to cover all the situations which could arise in a chess competition. This part contains also the Tournament Rules, which represent (mostly technical) addition to the Laws. Special attention was given to cheating in chess through history and the ways how to battle against modern cheating by means of IT. The second part covers the systems of competition. The Dutch variation of the Swiss system was covered in detail, not only because it is used most often, but also because it has undergone important changes which are valid from 1 July 2017. Special attention was given to the tie-break criteria. The authors are aware that many arbiters consider that making of the pairings and calculation of the MB are not their job, and that the computer does that automatically. Disagreeing with such view, authors consider that the pairings and calculation of standings are solely arbiter’s responsibility, and that the computer is an aid only. Even if the opposite opinion is accepted, the arbiter must always know this matter well enough to give an explanation to a player. 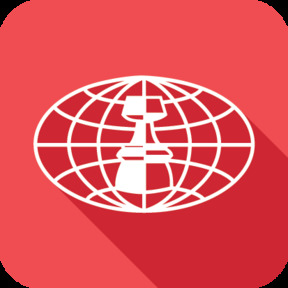 The third part comprises the Rating system, the International Title Regulations and the FIDE Online Arena. Even though it’s still in its infancy, everything indicates that in the future more and more competitions will be organized online. Some years ago, a game of mine became the topic of an extensive discussion in a chess mailing list widely read in all parts of ex–Yugoslavia. The game was played in a rapid tournament and it was very important for the final ranking. In great mutual time trouble, when both players had only seconds left on the clock, after finishing a move I noticed that my opponent’s flag had fallen and I claimed it without stopping the clock. Disregarding my claim, the opponent made his next move and pressed the clock, which caused my flag to fall as well. We played with a digital clock that displayed which flag had fallen first and the arbiter wasn’t present. After hearing both our descriptions of the situation, followed by some heated discussion, the arbiter declared that I won the game. The next day my opponent wrote an article for the mailing list mentioned earlier, claiming that the arbiter had made the wrong decision. The arbiter responded, and soon other people joined the discussion. For about a month or so, hardly a day could pass by without someone expressing his view on the subject. Several arbiters also wrote about the game in question, some of them holders of the IA title. The interesting thing was how wildly different the opinions were, not only of chess lovers, but also of arbiters. Anyone reading the whole discussion could see how little most people actually knew about the rules, even though they felt entitled to comment on their application. Furthermore, it was obvious from it that many arbiters didn’t know the rules as well, and even those who did often interpreted them in different ways. I think that the previous example clearly shows the point of this book. It’s there to help us, both the arbiters and the players, not only to know the rules, but also to interpret them correctly. The rules themselves can often remain vague and many situations occur in which it’s not easy to reach a decision on the basis of rules only. Because of that I believe that the examples of various situations which had occurred in actual tournaments are maybe the most helpful part of this book. In there we can find many of those, potentially controversial, situations explained and we can find the authors’ suggestions how they should be resolved. I also find it very useful that a lot of effort was given to explaining the handling of digital clocks, because I know from experience that many players and arbiters still have some trouble operating them. Actually, I had a situation in an Olympiad where I noticed that the clock wasn’t adding required 30 seconds per move, but the arbiter, who incidentally was both IA and GM, didn’t know how to set it correctly. Another very important, and often controversial topic which was given a lot of attention in the book is the Swiss System. It happens frequently that the computer-made pairings seem strange to the players, but the arbiters don’t know how to explain them, which can lead to very unpleasant situations. The same goes when the tie–break criteria are concerned, the arbiter should always know how the system works and be prepared to explain it to anyone who has any doubts about the validity of the final rankings. That’s why I support the authors’ viewpoint that the pairings and the tie break calculations are solely the arbiter’s responsibility, and not the computer’s. I believe that any arbiter who carefully studies the part of the book about the Swiss System will avoid much uncertainty and potential trouble. No less important are the parts about the rating and international titles, again for both the players and the arbiters. Even though the rating calculation is mostly done by computers nowadays, it’s still important for an arbiter to know how to perform it manually, and it’s also useful for a player to know how to calculate his own rating. The same goes for the title regulations, which are extremely important for arbiters to be familiar with, and equally important for players. When a players is trying to achieve a title norm, arbiter’s mistake can be very costly, so it’s good for a player to be able to check himself if all the conditions are in order. For example, when I was still chasing after my GM norms, a highly esteemed IA told me that I had won the norm in a tournament, even though the average rating of my opponents was lower than required. The regulations about cheating are also very important, since computer–assisted cheating is a problem which is becoming more serious with each passing day. As much as cheating itself, the widespread fear of cheating is a very serious issue and something that creates a lot of stress for many players. It’s important for a player who suspects that his opponent may be cheating to know how to report his doubts and what are the further procedures for checking those doubts, all of which may be found in this book. And of course, any arbiter must be familiar with all those rules and procedures as well. I guess the point is clear - we should all give our best to know the rules as much as we can, the players as well as the arbiters. It’s essential that we constantly educate ourselves, and this book is a very useful tool for that purpose. I know I have learned a lot from it, and I’m sure others will, too.